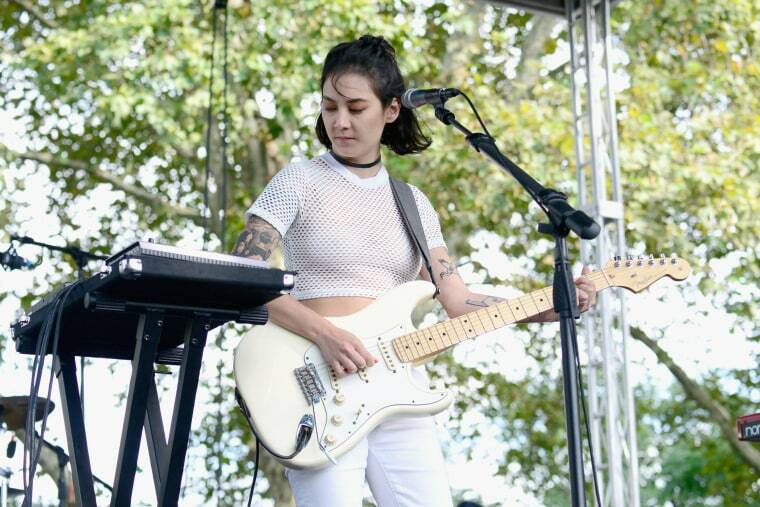 Last year, Japanese Breakfast put out a terrific album titled Soft Sounds From Another Planet- one that was originally created with the intent of existing as a "science fiction musical" of sorts. That record got its own browser video game, Japanese Breakquest. Now, Michelle Zauner is taking it all one step further by soundtracking an upcoming video game titled Sable. The PC game was announced at E3 today, and reportedly follows it's titular character on a quest through foreign planets. “It’s been a lot of fun looking over my notes of, ‘OK, like, ‘cave,’ and imagining myself in a cave with glowworms. What does that sound like?” Zauner told Polygon. Though much of the soundtrack will be ambient, Zauner recorded a full band track called "Glider" which is featured in the game's trailer. Check it out below.